Some of the Contacts in your device might have more than one address e.g. Home and Work addresses. 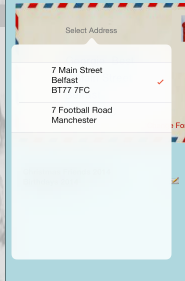 If AddressLabels finds a Contact with more than one address, it allows you to select the address to be used for your cards. 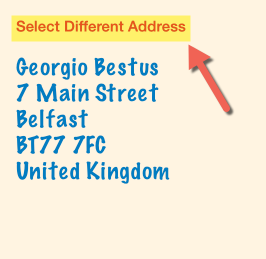 When you select a name on a list for which there is more than one address, you will see a Select Different Address button above the address, as shown here. Tap on this button and select the different address. 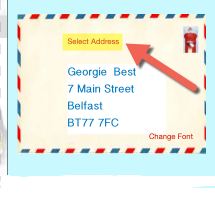 The selected address will then be shown in stead of the original one.